Hello October. I love, love this time of year. I’ve been busting out the fall decorations and loving the occasional cool days (it’s supposed to be 80 degrees in the Bay Area today, but I’m ready for sweaters and cozy fires). There is sew much fun stuff to share today; it’s a beautiful and busy time of year! Let’s start October with this adorable Happy Fall Pumpkin Truck Embroidery Hoop Art from Bev at Flamingo Toes. I love the combination of applique and embroidery she uses, plus those colors! 2. I am forever thankful to Fave Quilts for featuring many of my tutorials. Recently they included my Soft & Striped Baby Quilt in their 21 Baby Quilts in a Day Patterns blog post. If you’re looking for a quick baby quilt project, this blog post might be your answer. 3. With the cooler weather, you’re going to need a cute Halloween Mug Rug, and Connie at Free Motion by the River has the free tutorial for you. This would make a great gift for a teacher or friend, but I think you need to make one for yourself. 4. If you have a young family and you’re looking for some activity ideas, check out this 100 Family Friendly Fall Bucket List by Heather at Moritz Fine Designs. You can download and print out the cute, free list of ideas and let the adventures begin! 5. Here’s a great way to satisfy your sweet tooth; a Candy Corn Mini Quilt from Susan at We All Sew. This easy little project will add a sweet touch to your Halloween decorations! 6. I fell in love with this No Sew Hexagon Pumpkin by Alicia at Sew What Alicia. She shares the full tutorial for her guest-post at the Polka Dot Chair. Just grab some of your favorite fabric scraps and little Mod Podge for this one! 7. If you have some tattered quilts that could use a new life, check out this adorable Cutter Quilt Snowman from Jen at Jen Reviews. 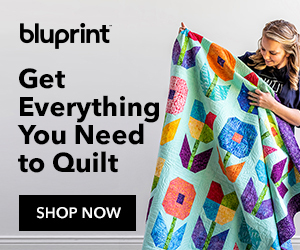 She gives you excellent instructions on how to repurpose that old quilt and tells you what Cutter Quilts are all about. 8. You will be so glad to visit 100 Days of Homemade Holiday Inspiration again this year at Hoosier Homemade. Liz makes it so easy to get ready for the holidays in every way: recipes, gifts, decorations and lots more! 9. You’re going to love these adorable Mini Christmas Stockings from Carolyn at Sew Can She. Fill them up with small gifts or hang them as ornaments – either way they will be a great way to use up some favorite scraps! 10. I think pillowcases make great gifts and so does Leanne at She Can Quilt. She shares three tutorials for different styles of pillowcases and I want to make them all! 11. If you’re looking for a quilt pattern for some pretty fabric, you’ll love this Four Square Quilt Tutorial by Amy at Diary of a Quilter. This throw-sized quilt is quick and easy, so it’s perfect for a beginner but also super fun for anyone! 12. Give your sewing machine a little love with the Sew Happy Sewing Machine Cover by Amanda at Jedi Craft Girl. This free tutorial is just sew cute, and I think every sewing machine should have its own quilt, don’t you? 13. Sometimes a little advice can go a long way. This is so true with Amira at The Little Mushroom Cap as she share 6 Tips to Improve Piecing Accuracy in Quilt Making. You’ll find some great information here and perhaps a new skill or two. 14. I can always count on Quilt Inspiration for new ideas and well, inspiration. Check out their recent roundup of Free Jelly Roll Patterns. There is something for everyone in this list and they are all so amazing! 15. There’s nothing cuter than these Scrappy Fish Quilt Blocks from Kirsty at Bonjour Quilts. This is another great way to use up your scraps, plus Kirsty gives you some adorable quilt ideas for all those fish blocks! 16. I know many of you love YouTube, so I thought I would share this new video from Virginia at Gingercake Patterns. She shows you how to make beautiful and balanced scrap fabric new yardage from your scraps. This I need to do! That’s a lot of inspiration and ideas for October! You might want to make yourself a cup of hot tea or hot chocolate and do some exploring. Take your time reading, relax and enjoy the crafty goodness! It’s been nice to read you Sunday’s blogs. I loved the appliques especially the combination of embroidery patterns! Thanks for all the cute ideas this week. I get a lot of crafting emails, some of which I don’t even read but I always read yours. You always have great content and I love how you incorporate your family news into your blog. Hello and Welcome October, my favorite month of the year! Cooler temps are headed our way by the end of the week!! I’m tired of this heat here in the Deep South! But it’s the Humidity that is the real killer! Anyhoo, I haven’t commented on awhile which doesn’t mean I haven’t been reading your blog posts. Like I always say, your blog is in my top three blogs to read!! My favorites are your posts like this one with a super round up of great ideas across the blogging world. I know of at least three ideas I’m going to try in the next two weeks. I’m in the process…. Note, I said PROCESS…. Of organizing and cleaning my sewing room. Not a lot of creating or actual sewing going on but it’s reached a critical point where I had to STOP and take control or the clutter was going to take control of me. Lots of emergency issues took place these last three months which led to using my sewing room as a place to”hide” the clutter until I could get to it. Well, it’s time to Get To It! Hopefully, I will have a nice clean and organized space in which to try out some of these great Fall ideas. Loved the accuracy tips and the cute little fish, but many interesting posts and ideas here. Thanks for sharing (and hunting) for these! Thank you, Julie! I love new tips and tricks and ideas! These are great for fall! Julie, you are so right! Paying it Forward as well as Random Acts of Kindness make this world a better place. I have been the recipient and the giver of both and can testify how powerful they are. Thanks for Sew Thankful Sunday, always enjoy it! Please keep finding these good links for us. Thanks, Julie. As always, lots of fun and new ideas and tips. I always appreciate your Sew Thankful Sundays. Thank you for sharing with all of us.